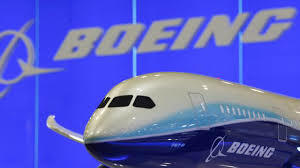 American aircraft manufacturer Boeing is weighing options of opening an office either in Ethiopia or Kenya to gain a foothold in the eastern Africa market, APA learnt on Friday.Boeing Company senior vice president Marc Allen said the US giant is assessing factors like human resource, infrastructure and existing frameworks for partnerships in the two capitals. The Boeing executive has been on a fact-finding tour of Ethiopia, South Africa, Nigeria and Kenya aimed at paving the way for entry into the three corners of sub-Saharan Africa. The US giant, which is the supplier of Ethiopian Airlines and Kenya Airways’ fleet of Dream liners and other Boeing planes, currently has a presence in North Africa. â€œTalent and comparative advantage will guide us in our choice of location in the region,â€� Allen said on the sidelines of an American business forum in Nairobi on Thursday. Ethiopia and Kenya have recently been racing to attract foreign direct investments into their economies with the creation of special economic zones and promises of lower costs of doing business including cheap electricity. Allen said the firm’s areas of interest include research, engineering and analytics. Boeing projects that air traffic for Africa’s carriers would grow at an average of 5.7 percent per year between 2015 and 2034 â€“ ahead of the global average of 4.9 percent.